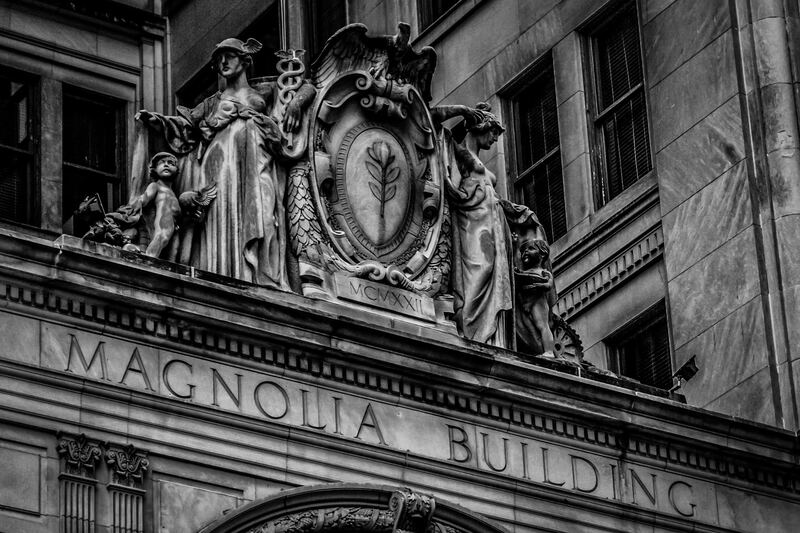 Detail of Dallas’ Magnolia Building (now the Magnolia Hotel), built in 1921 as the headquarters of the Magnolia Petroleum Company, which was later absorbed into Mobil Oil. 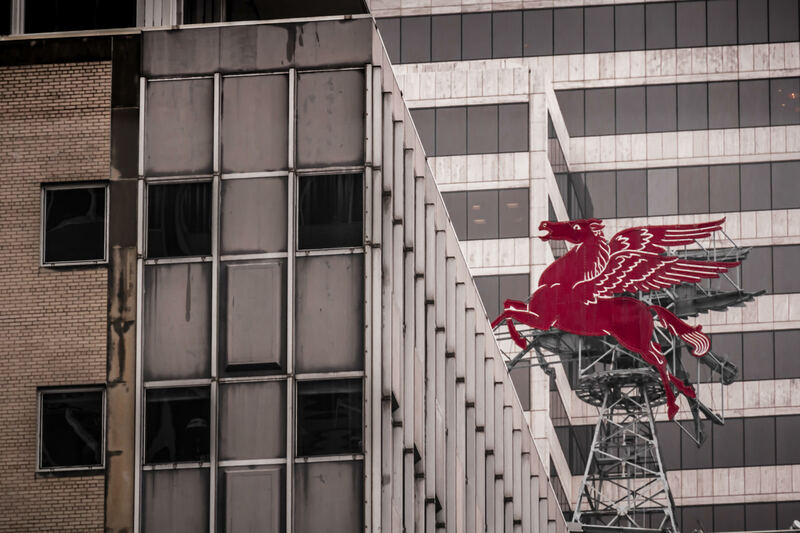 This neon Pegasus sign, atop Dallas’ Magnolia Hotel, was originally installed when the building was the headquarters of Magnolia Petroleum (later Mobil Oil). It was reconstructed in 2000 and has become a symbol of the city.